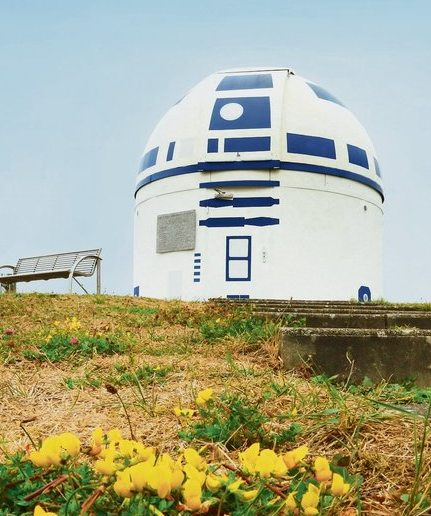 You are here: Home » FAN-ATICS » Star Wars » German observatory camouflaged as R2-D2! German observatory camouflaged as R2-D2! The Zweibrücken Observatory of the Natural Science Association is now, sadly, in danger of being attacked by Imperial storm-troopers thanks to one Professor Hubert Zitt. Along with his students, the professor decided to convert the observatory into a rather over-sized R2-D2, by dint of a spiff new paint-job. « Emilia Clarke was close to dying. Khaleesi!